From the moment Son of Saul begins, it had me so hooked to the screen that I don’t think I ever took the time to blink for the whole two hours. First time filmmaker László Nemes has created a captivating and haunting portrait of the holocaust that is as terrifying as it is intimate. 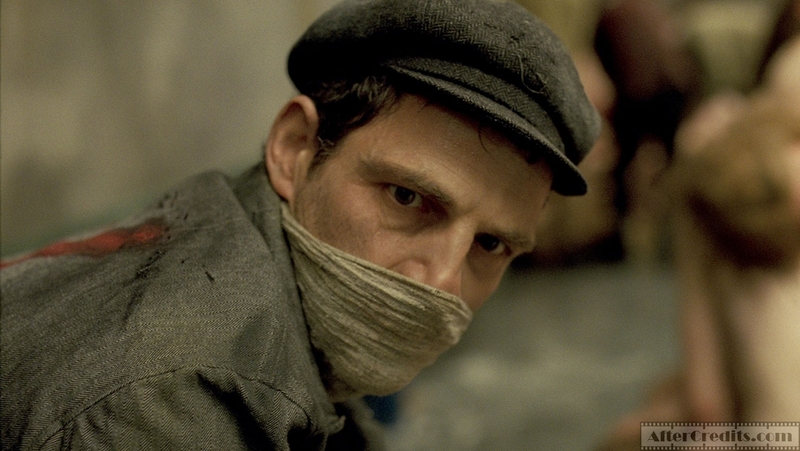 Son of Saul takes on a difficult story and it presents it in a way that’s damn near perfect. 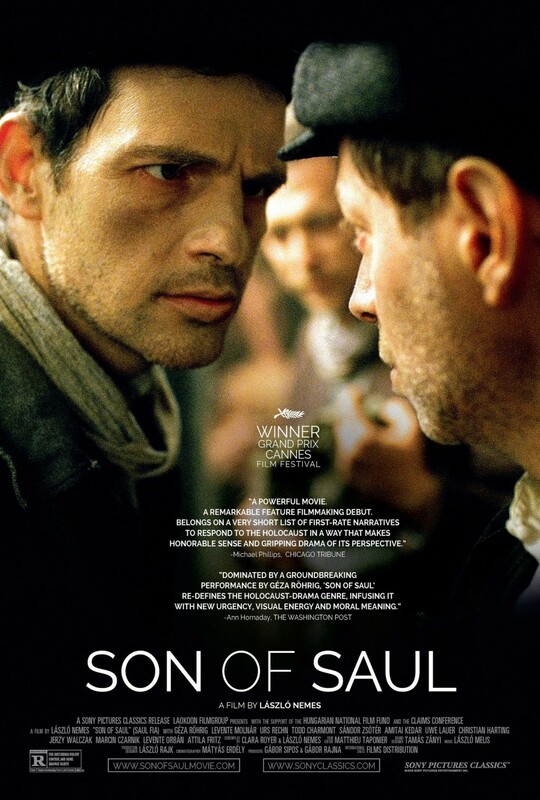 Son of Saul takes place in the Auschwitz concentration camp during World War II. We follow Saul (Géza Röhrig), a Hungarian prisoner who helps to burn the dead bodies of others in order to survive. Saul finds the corpse of a boy in the showers that he believes to be his son and in the following days he searches for a rabbi who can give his boy a proper burial. I usually try to stay away from hyperbole, but Son of Saul is shot in a way that I’ve never seen done before. The entire time, we are seeing the horrors of the holocaust from the point of view of Saul. The movie almost always stays directly in front of Saul and you experience the terrors of this event by following this character around. The movie only takes place in these close ups and because of this, all of the violence and brutality happens either off screen or way off in the background. But that’s not to say the movie spares you the details of the things that happened at this camp. There is no music in the movie so you can hear every scream, every gunshot and every movement that is going on around Saul. In the opening scene, we only see Saul’s face but we can hear the screams of the people on the other side of the wall that are dying in the gas chambers. The violence we see in the film is even more horrifying to experience due to how restrained it feels. In order to survive, Saul must live with the things he has done and he must become numb to the pain and suffering that surrounds him. Géza Röhrig gives a masterfully subtle performance as a quiet man beaten and left close to broken by the things he has seen. He never screams or yells but you can still tell the pain this man feels deep down. The bodies piled up in mounds and the screaming children become blurry things in the background with his face being the main focus of the screen. 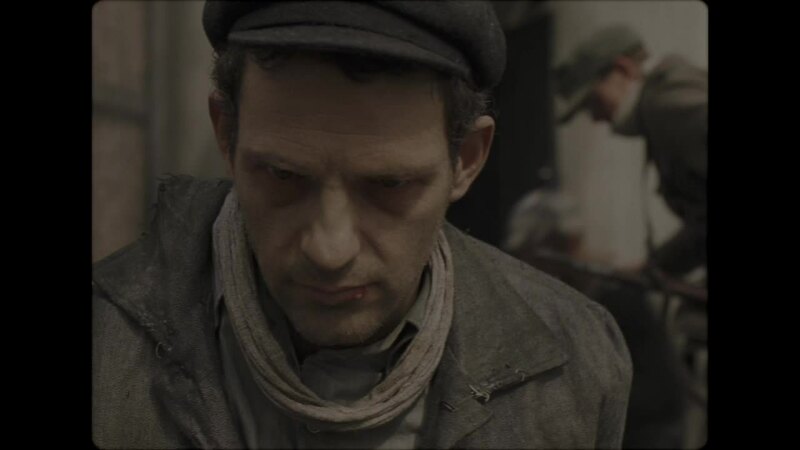 In this way, Son of Saul does an astounding job showing you the mindset of the victims of the holocaust and you can in some way see the tragedy through their eyes. You might not be seeing every single detail but in doing so; you further comprehend the confusion and the claustrophobia that Saul went through inside the camp. Furthermore, the aspect ratio for the movie doesn’t take up the full screen. The movie is compressed into this box as opposed to the wider shots you might see in a film like The Revenant or Mad Max: Fury Road. This allows you to become trapped inside the movie and you feel restrained and locked in with this character while you’re watching the movie. The movie has managed to capture an unspeakable act of horror in a way that feels both respectful and unsettlingly honest to how life was in this time and place in history. The movements, the sounds and the lighting give you the feeling of being surrounded by ugliness and not knowing if each day will be your last. The movie is purposefully exhausting to sit through and like Saul himself, you are never spared a moment of rest from what is taking place. Beneath the powerful direction and bleak honesty, what made Son of Saul truly impressive to me was how beautiful its final message was. Don’t get me wrong, this is a very grueling and relentless film to watch and it doesn’t end on a note of pure joy. But it becomes clear near the end of the film that the son of Saul might not actually be the son of Saul. The proper burial of the boy is more of a symbol of Saul’s final attempt of finding light and hope for humanity. In this hellish landscape with violence and anger surrounding him, he searches for anybody willing to give him a quick moment of compassion or sympathy for his quest. A doctor promises him the body of his son instead of giving it an autopsy. A soldier turns the other way to save Saul’s life. These small moments of rest are few and far between but when they do happen, they mean the world to our main character. Son of Saul takes possibly the worst event in the 20th century, shoots in the most terrifying way possible and still attempts to find human decency in the compact, tiny frames. The final scene in the movie without giving anything away is bittersweet. On one hand, Saul is a doomed man and the people around him are bound to die like the millions of people just like them. But on the other hand, Saul finds something that undoubtedly proves that there is still beauty and wonder in the world. Someday, all the victims and the killers will be dead and their perspectives will be long forgotten. But maybe, we can find hope in the generations after that. Just maybe, the children of that time period will grow up and they will have the chance to make different decisions and actions and live in a world that doesn’t have to worry about the problems these people had to face. Saul sees the potential for a new world and though his story is coming to a close, this is something that fills him with overwhelming happiness. The movie tells a dark story, but you leave the movie feeling released because the spirits of an atrocious act can find peace and warmth in the hopes and dreams of the future. Horror is constant in our world, but love and beauty will always come with it. Saul’s final expression in this movie says it all and it’s the look of a man who can finally rest. Son of Saul is a close to perfect in handling its upsetting subject matter. The direction in the film is flawless and it blows my mind that such daring, brilliant filmmaking could come from a first time director. Every movement in this movie dares to put you right there with them and it absorbs the audience. 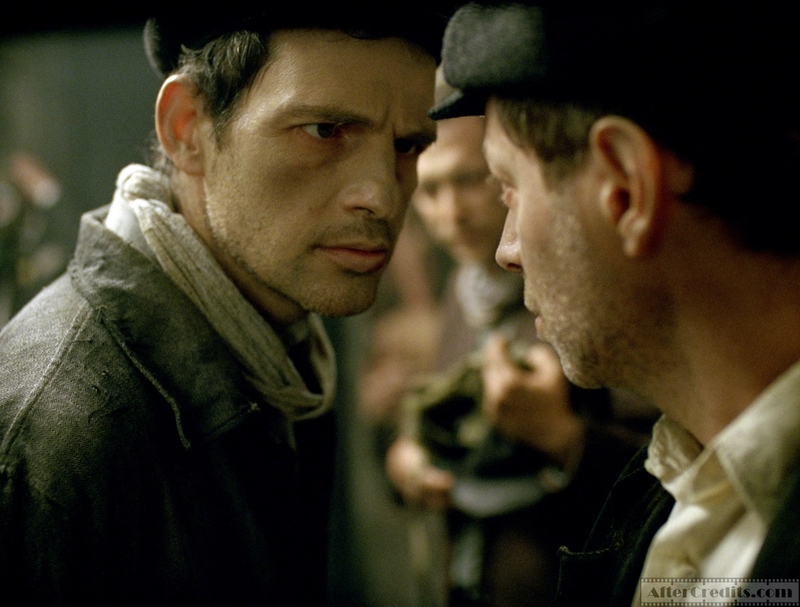 Son of Saul is about the darkness and the intensity of the holocaust. But beyond that, it’s also about finding the small things in a tragedy that prove the wonder of human nature even as the walls are closing in on you.